After a period of silence following the release and touring of their acclaimed second album, Hidden, These New Puritans make their highly anticipated return with Field of Reeds, their first for new label Infectious Music. The album was released on 2×12” vinyl, CD and digital download on 10 June 2013. Recorded in a series of intensive sessions between April and November 2012, with production duties once again shared by Graham Sutton (Bark Psychosis) and the band’s Jack Barnett, Field of Reeds represents another uncompromising shift from a band without peer. Jack began writing the material in 2011, while the band were staging their celebrated Hidden Live shows, in a year that became marked by prolonged legal negotiations. Having taught himself to arrange and notate the brass, woodwind, and percussion parts for Hidden, Jack further utilised these skills on Field of Reeds, with every part fully scored and arranged before recording commenced. Only the band and production team heard the album before it was finished. The first recording sessions took place at Studio P4 Funkhaus Nalepastraße, a former West German radio complex in Berlin, with renowned conductor André de Ridder – a key player in Hidden Live – leading the ensemble. Further sessions followed in London and the West Country. Virtually every sound heard on the album is as it was played, with edits used only to tweak performances using played material and never ‘copied and pasted’, as is common practice in most modern music. “It’s mainly because there’s musical processes happening over quite long periods of time. So a good way of getting that is to get musicians to play it from start to finish. It’s not something I’m mad about it’s just what the music demanded.” Of the songs’ unorthodox structures Barnett says: “I’m really just working on instinct. It’s a big accident. But I like it when songs take unexpected twists, where things spin off into a different world. Emotions and people are unpredictable so it makes sense that the songs are I suppose”. The desire to capture the perfect performance would lead on occasion to distress among the musicians. “For the song Fragment Two,” Jack says, “George drumming is take #76.” Elsewhere, a full day was spent smashing panes of glass for Light In Your Name. Opening track The Way I Do is framed around a digital field recording of a woman’s half-remembered interpretation of This Guy’s In Love With You by Herb Alpert, while several others make imaginative use of the Magnetic Resonator Piano invented by Professor Andrew McPherson of the Centre for Digital Music at Queen Mary, University of London. Among the guests on the album are basso profundo Adrian Peacock, renowned British jazz trumpeter Henry Lowther, Dutch contemporary composer Michel van der Aa and Swedish soundtrack arranger Hans Ek. Respected mixing engineer Mark ‘Spike’ Stent mixed the record. Frequent collaborator and video artist Daniel Askill returned to work on the video to lead single Fragment Two. The songs on Field of Reeds are more intimate, melodic and personal than the band’s previous work, covering subjects such as “hope, despair, love – those kinds of things”. These New Puritans are a band from Essex, England, comprising of twin brothers Jack and George Barnett, their friend Thomas Hein and the many different collaborators who are drawn into their orbit. Their music is widely lauded as amongst the most original and progressive in the world, having released three unique and critically acclaimed albums that highlight their uncompromising musical vision. The band is anchored by the opposing characters of the Barnett twins: George, extroverted, aesthetically driven, a violently virtuosic drummer as well as directing the band’s visuals and giving general creative direction; Jack, introverted, obsessively perfectionist, and occupying an unusual and uneasy role somewhere between producer, composer and bandleader. Hein, brought up in nearby Billericay (the town immortalised in song by Ian Dury), brings equilibrium, versatile musicianship, and a certain wryly-amused take on the back and forth between the brothers. The band’s debut album, the manic patchwork of ideas Beat Pyramid, and the series of video-casts that preceded it, were hailed by the NME as demonstrating a “span of ideas and singularity of vision that simply shouldn’t happen to 20-year-olds”, while the Observer Music Monthly called it “utterly engrossing and totally essential”. 2010’s Hidden received 5-star reviews across the board and was hailed as “the first masterpiece of the twenty-first century” by the Daily Telegraph and named NME’s album of the year. It is a modern, expansive record that takes influence from the crashing rhythms of Jamaican dancehall, the melancholy of Benjamin Britten and William Byrd, and the multi-layered textures of Steve Reich, to create something rare in music today, something unique. It also marked out Jack as a truly modern musician, equally adept as soundtrack composer (Orion) or hip-hop producer (Three Thousand). The band recreated the album live with a series of ĦỊĐĐỂŅ LIVE shows, notably at the Barbican and Paris’ Pompidou Centre, featuring the Britten Sinfonia, a children’s choir, 10ft taiko drums, multiple vibraphonists and live Foley techniques. 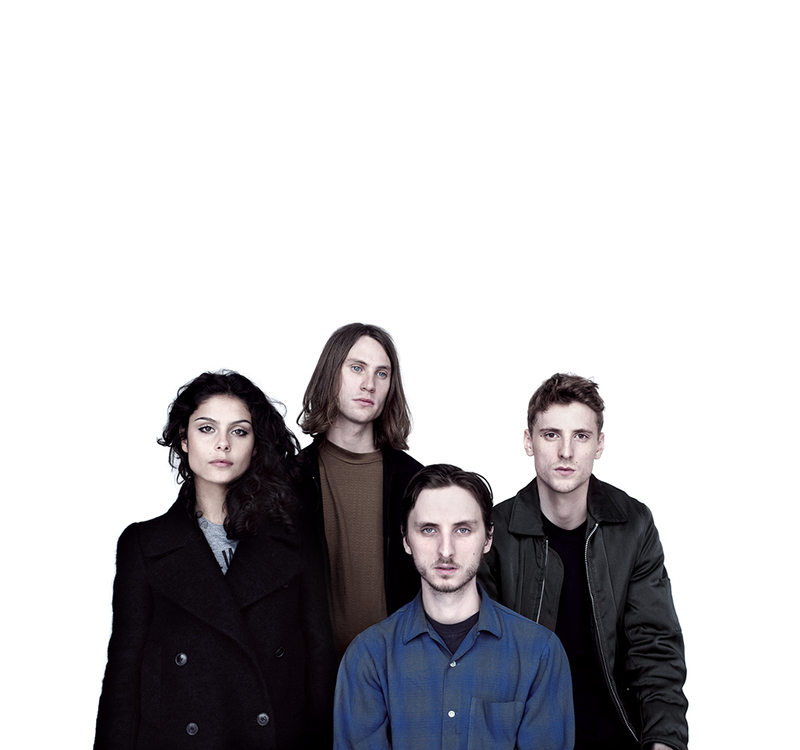 These New Puritans announced they were writing a new album following their last show of 2011 in Mexico City, at which point keyboardist Sophie Sleigh-Johnson left the band. They remained largely silent in 2012 only resurfacing briefly to remix Björk’s Mutual Core. Field of Reeds brings you closer to These New Puritans, with its highly dynamic, intense and emotive sound that bypasses any fads or fashions in today’s music. “With this album the biggest change has been that I’ve tried to move away from abstraction… It’s like when I was younger; I’d get home from school and write songs on the guitar about how I felt, this album is kind of like that” comments Jack. The album received rave reviews from The Guardian, The Times, Q & Uncut, amongst others. Portuguese singer Elisa Rodrigues joined the band as a guest member. TNP debuted the album with a series of concerts in Tokyo, Paris, Los Angeles (supporting Björk at Hollywood Bowl) and London, with a new live septet (drums / bass / live electronics / trumpet / French horn / piano / female vocals). TNP EXPANDED brings the Field of Reeds experience into an immersive new phase.